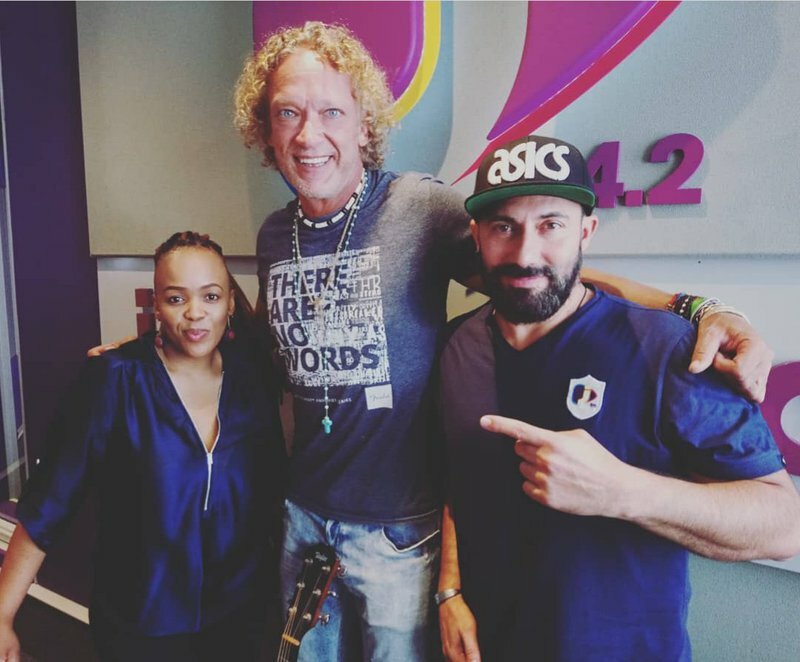 Breakfast Show hosts Martin Bester and Tumi Morake were joined by well-known South African musician Dozi for #FridayLive. Dozi released his first album, 'Mercy', back in 1999. The album was so well received that many predicted a long career in the music business for him - and that has been the case. As one of only a handful of Caucasian multilingual male South African singers, Dozi became the missing link between black and white South Africans when he was asked to perform traditional Afrikaans songs in Zulu on popular Afrikaans television program, 'Noot vir Noot'. After the success of his first Afrikaans album, 'Op Aanvraag', in 2000, Dozi became an overnight sensation, selling more than 100,000 units. Many albums soon followed, and he has only gone from strength to strength. More recently, Dozi has become known for his popular live music venue, 'Back to the Roots' in Hartebeespoort Dam. The venue hosts some of the biggest artists in the country every week, and has since become a firm favourite hang-out location for many on weekends. Dozi will soon be opening a 'Blues Bar' that will host some of the biggest artists around and see them perform acoustic renditions of their popular songs. READ: Are you guilty of bribing your children?